Saturday evening my husband and four daughters attended our homeschool group Father/Daughter Dance, one of the highlights of a father’s existence. The fun for the mother (before she enjoys a quiet night at home or a mother/son date) is photographing them as they leave. We had a lot of rain last week and honestly, I was just happy that it wasn’t too cold or wet when we took these pictures. Cloudy weather can enhance a photo by softening the intensity of the sun or making an interesting skyline, but in this case it looks dismal. I decided to warm up these shots with some artificial sunshine! Apply the Sunflare Left RAW preset for Lightroom from Pretty Presets (download it for free at Lightroom Killer Tips). Apply a light vignette (darken the edges). The warmth adds a lot, doesn’t it? The Sunflare Left preset is designed to be used on images shot in RAW and uses a series of graduated filters, which you can drag and shift if you want the flare effect to come from a slightly different angle. With my youngest daughter I chose black and white: she has the remains of a red Kool-aid mustache (I rubbed off a lot of it with a baby wipe, but it’s still there) and light blue/green eyeshadow that her sister applied (I’m not fond of make-up on 7 year olds), so I thought eliminating color was a good idea here. Like before and after shots? Find links to my 31 Days of Before & After Shots series here. Sign up here to receive new posts in your inbox (click the link in the confirmation email from FeedBurner to complete your subscription). One Day Deals from Adobe! If you’re in the market for new photo editing software, TODAY IS THE DAY to score great deals from Adobe on either Lightroom 4 or the Adobe Photoshop Elements & Premiere Elements Bundle! I do 95% of my photo editing in Lightroom. It’s my absolute must-have program. Although I included other software programs, the 31 Days of Before & After Shots series I wrote in October was basically a love letter to Lightroom. It completes me. If you miss today’s sale, you can save $20 on Adobe Lightroom 4 until March 2 when you enter code: LIGHTROOM20. From Adobe: Adobe Photoshop Lightroom 4 software provides a comprehensive set of digital photography tools, from powerfully simple one-click adjustments to cutting-edge advanced controls. Create images that inspire, inform, and delight. 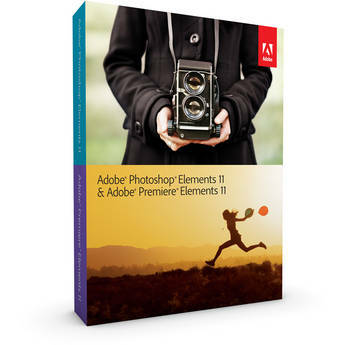 From Adobe: Adobe Photoshop Elements 11 & Adobe Premiere Elements 11 is the #1 selling consumer photo and video editing software. Live in the moment knowing you can easily turn your everyday snapshots and videos into sensational photos and home movies. I screamed Friday when I received the email that the Lightroom 4 Live Seminar Tour is coming to Atlanta on February 22, at the Georgia World Congress Center. Lightroom is my favorite software program ever and Matt Kloskowski, author of the Lightroom Killer Tips blog, is the instructor. If you’re in Atlanta and enjoy photography, this is the place to be! The seminar runs from 10 a.m.-5 p.m. and costs $99. 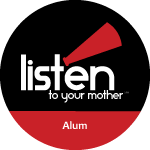 However, registering at least 14 days early (by February 8) saves you $10 with promo code KTL10 and NAPP members save an additional $20; you could attend for $69. Now is the perfect time to join NAPP (the National Association of Photoshop Professionals) using my existing promo code DAWN, or my brand new promo code DAWNLR. Either promo code gets you a $10 discount, plus your choice of either Corey Barker’s Photoshop Down and Dirty Tricks for Designers (promo code DAWN) or Scott Kelby’s Adobe Lightroom 4 Book for Digital Photographers (new promo code DAWNLR). Read full details on my updated NAPP page.